As the German Army is approaching the gates of Leningrad, a light aircraft is brought down by Russian troops. The couriers on board are carrying a painting of a red moth. When news of this peculiar cargo reaches Stalin, his suspicion is aroused. So he summons his best investigator, Inspector Pekkala, to enquire into the meaning. Inspector Pekkala is something of a literary cousin of Philip Kerr’s inspired creation Bernie Gunther, another honest detective in the midst of a monstrous system. However unlike Gunther, who is believably worn down over the years by violence and compromise, Pekkala seems almost superhumanly incorruptible: undiminished and undaunted, even in the face of Stalin’s rage. The interplay between Pekkala and Stalin is very entertaining, but it did bother the history student in me. In these books Stalin comes across more as a stern police captain rather than the genocidist whose paranoid purges of his own military and bureaucracy brought his country to the brink of ruin. Yet both Pekkala, and his side kick Kirov, manage their intimate service to this psychotic in a way that keeps their hands clean, the consciences clear, and their integrity as human beings undimmed. This aspect of the story does demand that whatever structure the reader is suspending their disbelief from has to be stretched a bit further to cross this historical chasm. 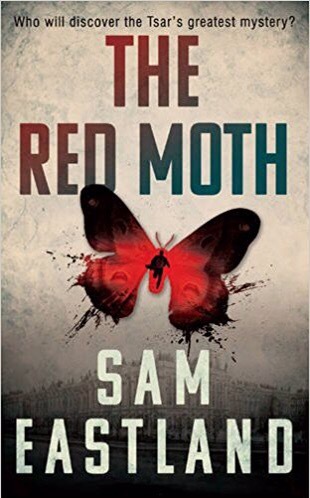 This quibble aside, The Red Moth is a hugely entertaining excursion to the battlefields of the Eastern Front, and Eastland’s familiarity with the milieu of Stalinist Russia does paint an engaging portrait of life in those bloody times. This entry was posted in Book Review, Crime/Legal thriller, Historical novel, War by aidanjmcquade. Bookmark the permalink.